Zambia’s main opposition party, United Party for National Development (UPND), on Thursday filed a motion seeking the impeachment of President Edgar Lungu, the presidency said on Friday. The motion, which would be debated on March 28, was signed by a third of the 167-member Parliament of the southern African nation. Zambia’s constitution requires the support of two thirds of the National Assembly for such a proposal to succeed. The ruling Patriotic Front has 89 members, or 54 percent of the total. UPND accuses President Lungu for abrogating the constitution by not handing over power to the speaker of the national assembly when the opposition challenged his victory in court in 2016. Zambia’s opposition leader Hakainde Hichilema narrowly lost the election to President Edgar Lungu in 2016. Hichilema alleges the vote was fixed, and does not recognize Lungu as president. He has accused the president of becoming an increasingly authoritarian ruler. Last year, the 55-year old spent about four months in prison on treason charges for not pulling over his motorcade on a rural road for the president’s convoy. 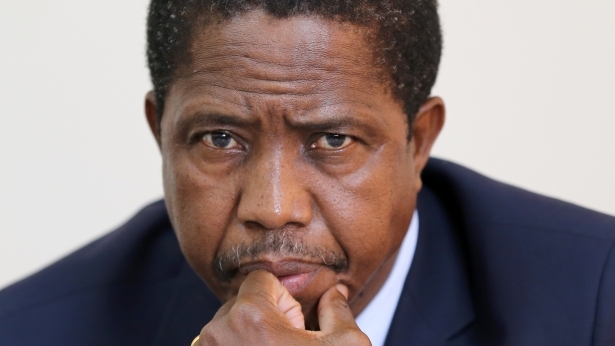 The charges were ultimately dropped later, and Lungu lifted emergency measures that he had earlier imposed. Posted by Steven Addamah on March 23, 2018. Filed under Zoom. You can follow any responses to this entry through the RSS 2.0. Both comments and pings are currently closed.